On February 18, 1994, Fuentes and three accomplices robbed the Handi Food Mart in north Houston. Fuentes and one of his companions brandished pistols. Robert Tate, who had been drinking beer with friends in the parking lot of the store, chased one of the bandits when he left the store with two cases of beer. Tate grabbed accomplice Templeton, and the robber dropped the beer. Just then, Fuentes came running out of the store and shot Tate twice in the chest. Tate died in a ditch across the street from the store. A witness at the trial identified Fuentes as Tate’s murderer. Accomplice Templeton also testified at the trial identifying Fuentes. Fuentes v. State, 991 S.W.2d 267 (Tex.Crim.App. 1999) (Direct Appeal). Fried chicken with biscuits and jalapeno peppers, steak and french fries, fajita tacos, pizza, a hamburger, water and Coca-Cola. "Sorry that I have to put my family through this. To everybody else, the truth will be known. It didn't come out in time to save my life. But when it comes out I hope it stops this. It is wrong for the prosecutors to lie and make witnesses say what they need them to say. The truth has always been there. I just hope everybody has their peace. Today I get mine." 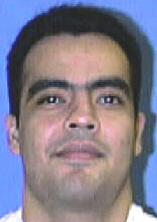 AUSTIN – Texas Attorney General Greg Abbott offers the following information about 30-year-old Anthony Guy Fuentes, who is scheduled to be executed after 6 p.m. Tuesday, November 17, 2004. On November 15, 1996, Fuentes was convicted and sentenced to death for the capital murder of Robert Tate during a Houston convenience store robbery. A summary of the evidence presented at trial follows. On February 18, 1994, Fuentes and three accomplices robbed the Handi Food Mart in north Houston. Fuentes and one of his companions brandished pistols. Robert Tate, who had been drinking beer with friends in the parking lot of the store, chased one of the bandits when he left the store with two cases of beer. Tate grabbed the man, and the robber dropped the beer. Just then, Fuentes came running out of the store and shot Tate twice in the chest. Tate died in a ditch across the street from the store. A witness at the trial identified Fuentes as Tate’s murderer. Bullets recovered from Tate’s body were consistent with those used in a 9 millimeter weapon, which are most commonly semiautomatic. Testimony at the trial indicated that Fuentes used a semi-automatic gun during the robbery. April 23, 1996 — A Harris County grand jury indicted Anthony Fuentes for the capital murder of Robert Tate. November 13,1996 — Fuentes found guilty of capital murder and the court assessed a sentence of death. April 28, 1999 — The Texas Court of Criminal Appeals affirmed Fuentes’ conviction and sentence. November 29, 1999 — The U.S. Supreme Court denied Fuentes’ petition for certiorari review. October 26, 1998 — Fuentes filed an application for writ of habeas corpus in the state trial court. September 13, 2000 — The Texas Court of Criminal Appeals denied habeas relief. November 14, 2001 — Fuentes filed a petition for writ of habeas corpus in a U.S. district court in Houston. March 28, 2003 — The federal district court denied habeas relief. June 2, 2004 — Fuentes petitioned the U.S. Supreme Court for certiorari review. October 4, 2004 — The U.S. Supreme Court denied Fuentes’ petition. June 30, 2004 — The trial court entered an order setting the execution date for November 17, 2004. In January 1992, Fuentes, armed with a shotgun, shot a man in the leg. Fuentes pled guilty to a misdemeanor charge and served a year in the Harris County Jail for the shooting. In March 1994, Fuentes shot a man in the back while the victim was sitting in a car. Fuentes was placed on probation after pleading guilty to an attempted murder charge for the shooting. On Friday, February 18, 1994, Anthony Fuentes, Kelvin Templeton, Terrell Lincoln, and Steve Vela conspired to rob the Handi Food Mart and any employees or customers who happened to be in the store. The Handi Mart was busy with employees of the Swartz Electric Company who had just been paid, cashed their paychecks at the store and were enjoying a few beers and the company of coworkers outside the premises of the store. Among those gathered was Robert Tate, a regular customer and acquaintance of the proprietors of the Handi Mart and sometime employee of Swartz Electric. Fuentes and his cohorts arrived at the store, noted that it was busy and proceeded with their plan. Templeton went directly to the coolers, grabbed two cases of beer and walked out. Fuentes and Vela walked into the store behind Templeton and pulled out their guns. Vela went to the cashier and demanded money. Fuentes approached the proprietor and a customer who were standing near the counter. The customer was a high school classmate of Fuentes’. He followed Fuentes’ orders, hiding his identity in fear that Fuentes would recognize him. Another man was walking into the store when he noticed that it was being robbed. He ran to inform his co-workers of the robbery. Ignoring his friends’ warnings not to get involved, Robert Tate gave chase when Templeton left the store with the beer. Tate caught up to Templeton and grabbed him. Templeton dropped the beer. Just then, Fuentes came running out of the store. An eyewitness testified that Fuentes came out of the store, ran up to Tate and Templeton, and shot Tate twice in the chest. Testimony at trial indicated that Fuentes used a semi-automatic gun. Tate fell into a nearby ditch and died. The bullets recovered from Tate’s body were consistent with those used in a 9 millimeter weapon, which are most commonly semiautomatic. The eyewitness further testified that, despite standing five hundred meters from Fuentes, he got a good look at his face and positively identified Fuentes as Tate’s murderer. His description of Fuentes was consistent with the description given by the proprietor as the man who robbed him in the store. Both witnesses positively identified Fuentes in photo lineups. Templeton was the only co-conspirator to testify. He testified that he was not watching when he heard the shots fired; he thought Tate had shot at him, so he just began running. Templeton testified that although he did not see it, he was under the impression that Fuentes had shot Tate because when he looked back, Fuentes had a gun in his hand and was the one closest to him, and he had not seen Vela near the victim. Anthony Guy Fuentes, 30, was executed by lethal injection on 17 November 2004 in Huntsville, Texas for the murder of a man during a robbery. On 18 February 1994, Robert Tate, 28, was outside a Houston convenience store where he was a regular customer, drinking beer with his friends, when a group of four people showed up and went into the store. Kelvin Templeton, 17, grabbed two cases of beer and walked out. Fuentes, then 20, and Steven Vela, 17, went to the counter with guns. Vela demanded money from the clerk. Fuentes confronted the store owner and another customer. One of Tate's friends then walked in, saw the robbery in progress, and went back outside to tell the others. Tate began chasing Templeton. He caught up with him, and Templeton dropped the beer. Fuentes then came running from the store and shot Tate twice in the chest with a 9mm pistol. He died in a ditch across the street from the store. Ten days later, Fuentes was arrested, but not for the Tate murder. In January 1993, Fuentes shot a man in the leg with a shotgun. At the time of his arrest, authorities did not know of his role in the Tate murder. He was charged with aggravated assault causing serious bodily injury, a second-degree felony. Five days after that arrest, while Fuentes was out on bond awaiting trial, he shot another man. Five weeks later, in April 1994, he went to trial for the shotgun incident and pleaded guilty to a misdemeanor charge. He served one year in Harris County jail. While serving that sentence, he was arrested, and later convicted, of attempted murder in the third shooting incident. Authorities still did not know of his role in the Tate murder. Fuentes was sentenced to 4 years' probation. Finally, in September 1996, he was arrested for killing Robert Tate. Julio Flores, who was in Tate's group in the parking lot and witnessed the shooting, testified that Fuentes was the person who shot Tate. Kelvin Templeton also testified against Fuentes at his trial. A jury convicted Fuentes of capital murder in November 1996 and sentenced him to death. The Texas Court of Criminal Appeals affirmed the conviction and sentence in April 1999. All of his subsequent appeals in state and federal court were denied. Steven Anthony Vela and Kelvin Deshan Templeton were both convicted of aggravated robbery. Vela was sentenced to 16 years in prison. Information on his current status was unavailable for this report. Templeton's sentence was 15 years. He was paroled in April 2004. No information was available regarding Terrell Lincoln, the fourth member of the group. On a web site devoted to his cause, Fuentes admitted being part of the convenience store robbery, but insisted that he was not the gunman who killed Robert Tate. In an interview on death row, Fuentes would not even admit to being at the scene of the crime. "I can't be sorry for something I didn't do," he said. "I never killed anybody." Fuentes' lawyers claimed that the witnesses gave conflicting testimonies and that Julio Flores' testimony was questionable because he had been drinking. Prosecutors said that all of these issues were raised at trial. "That is the purpose of cross-examination, and that is what a jury is for," an assistant district attorney said. "Sorry that I have to put my family through this," Fuentes said in his last statement. "And to the family, the truth will come out, and I hope you find your peace. To everybody else, the truth will be known. It didn't come out in time to save my life. But when it comes out, I hope it stops this." The lethal injection was then administered. Fuentes was pronounced dead at 6:11 p.m. The state of Texas is scheduled to execute Anthony Fuentes, a 20-year old Latino man, Nov. 17 for his alleged role in the 1994 shooting death of Robert Tate during a Harris County convenient store robbery. Fuentes' case is particularly alarming because there is a possibility he is innocent. Fuentes robbed the store with Steven Vela, Kelvin Templeton, and Terrell Lincoln all of whom received prison terms for aggravated robbery. Fuentes was convicted based on the eye-witness testimony of Templeton and a man named Julio Flores. Templeton's testimony stated that he believed Fuentes was likely to have shot Tate although he did not see who actually fired the shots. Flores testimony could be considered unreliable as he was 500 meters away from Fuentes and the crime took place on a dark evening causing poor visibility. Evidence supports the claim that Tate was killed by bullets from what was likely a 9 millimeter weapon. However, there is no conclusive evidence as to which person, Fuentes or Vela was using which gun at the time of the robbery. A mutual friend of the two men testified that he knew Vela to own and use a 9mm gun and Fuentes a .22 revolver. Fuentes confirmed this during the trial. The evidence the prosecution used to refute this was eye-witness testimony and arguably unreliable. There are other concerning issues surrounding the trial including the fact that the state struck four African-American individuals from the jury without giving a specific reason apart from stating that the jurors were not 'pro-state' enough. Fuentes' scheduled execution takes place amid a heightened scrutiny surrounding the death penalty in Harris County due to massive problems with the crime lab. Police are in the process of reviewing hundreds of boxes of evidence from thousands of cases that had been forgotten. The crime lab suspended DNA testing in December of 2002 because of widespread problems. Earlier this month, the Houston Chief of Police requested no one be executed until problems with the lab are fully resolved. State Senator Rodney Ellis also called for a halt to executions in Harris County. However, these pleas along with those of many concerned citizens in Texas, have been dismissed by Governor Perry. Overall, upwards of 150 men and women are currently on death row in Texas from Harris County. Texas has approximately 450 death row inmates. Harris County accounts for approximately 30 percent of the inmates on Texas Death row and has more people on death row than 31 of the 38 states that use the death penalty. It is inconceivable that inmates in Texas, and particularly those in Harris County could continue to be executed despite such widespread problems with the Houston Crime Lab as it serves as an indication of a system which is too fraught with error to assert guilt with absolute certainty. Please write Gov. Perry urging him to commute Anthony Fuentes sentence. HUNTSVILLE - Convicted killer Anthony Fuentes was executed tonight for fatally shooting a man who tried to nab the robber of a Houston convenience store 10 years ago. Fuentes, 30, denied he was responsible for killing Robert Tate, 28, who became known as a slain good Samaritan, although Fuentes acknowledged he was with three companions when they were holding up the store. Fuentes, in a brief statement, said repeatedly that he had found peace. "Sorry that I have to put my family through this," he said. Among those watching him die was his grandfather and two sisters along with two of Tate's brothers. "To everybody else, the truth will be known," he said. "It didn't come out in time to save my life ... "But when it comes out I hope it stops this. It is wrong for the prosecutors to lie and make witnesses say what they need them to say. The truth has always been there. I just hope everybody has their peace. Today I get mine." As the drugs began taking effect, he gasped slightly. Six minutes later, at 6:17 p.m. he was pronounced dead, making him the 23rd Texas prisoner to receive lethal injection this year and the first of two on consecutive evenings this week. The U.S. Supreme Court last month rejected a request to review his case. In late appeals seeking to stop the execution, his lawyers argued prosecutors knowingly allowed false testimony against Fuentes and suppressed evidence. The Texas Court of Criminal Appeals dismissed the appeal Wednesday morning. A request for a stay of execution was filed later in the day with the Supreme Court, asking the justices for time to review prosecutors' conduct during the trial. The high court rejected the request about 20 minutes before Fuentes was scheduled to die. "The state's case was riddled with inconsistencies," Fuentes' attorneys argued. "The evidence connecting him to the shooting was so tenuous." Vic Wisner, an assistant district attorney in Harris County who prosecuted the case, denied the claims. He said the men who robbed the store with Fuentes pointed to him as the gunman. It took two years before authorities could piece together the case and arrest Fuentes and his three companions. His accomplices received prison terms for aggravated robbery. Fuentes got a death sentence. "What Texas doesn't realise is that I am not afraid to die and they can never break me," Fuentes wrote on an Internet site devoted to his case. Court documents show Tate was outside the store when Fuentes and his group showed up. One of them, Kelvin Templeton, grabbed a couple cases of beer and walked out as Fuentes and Steve Vela, both armed, went to the counter. Vela demanded money from the clerk while Fuentes confronted the store owner and another customer. A friend of Tate's was walking in, noticed the robbery in progress, and went back outside to inform Tate, who began chasing Templeton. Tate nabbed him, but according to a witness, Fuentes emerged from the store, ran up to Tate and shot him twice. Templeton testified against Fuentes, saying he didn't see the shooting but believed Fuentes fired the shots. Defense attorneys at his trial said there was conflicting testimony as to who killed Tate. Fuentes had two previous convictions. He pleaded guilty and spent a year in the Harris County Jail for shooting a man in the leg with a shotgun in 1992. Eight months before the Tate slaying, he pleaded guilty to an attempted murder charge and was placed on probation for shooting a man who was sitting in a car. On Thursday, another Texas inmate, Troy Kunkle, was set to die for fatally shooting a Corpus Christi man during a robbery more than 20 years ago when Kunkle was an 18-year-old high school student in San Antonio. In July, Kunkle received a reprieve from the Supreme Court the same day he was supposed to be executed. The court last month refused to review his case, lifting the reprieve and setting the execution date. An attorney representing a Houston man scheduled to be executed today argued Tuesday his life should be spared because of problems with the police work and prosecution in the case. Anthony Guy Fuentes, 30, is scheduled to receive a lethal injection this evening for the shooting death of Robert Pres-ton Tate, 28, after a robbery of a convenience store on Feb. 18, 1994. Fuentes admits he participated in the robbery but maintains he did not kill Tate. An appeal filed Monday notes discrepancies in the testimony of eyewitnesses and argues that Houston police officers improperly questioned witnesses. Defense attorneys also argued that Harris County prosecutors knowingly allowed a witness to give false testimony and withheld information that would have allowed defense attorneys to expose inconsistencies. "You have all of these witnesses who witness the same event, and they are all seeing different things — some of them are dramatically different," said Jim Marcus, executive director of the Texas Defender Service and one of Fuentes' lawyers. "There are so many problems with the eyewitness testimony, and the case really hangs on putting the right gun in Fuentes' hands." Vic Wisner, who prosecuted Fuentes in 1996, called the claims "preposterous." He pointed to Fuentes' prior convictions in three nonfatal shootings. "There was nothing inappropriate about the prosecution in this case," Wisner said. "Our case was pretty solid in terms of him being the shooter." Assistant District Attorney Roe Wilson, who has handled Fuentes' case since his conviction, said many of the claims are issues that defense attorneys have been aware of since the trial. If he is put to death today, Fuentes will be the 23rd Texas inmate executed this year and the third from Harris County in nine days. His appeal is pending before the Texas Court of Criminal Appeals. Fuentes was 19 when he and two others robbed the family-owned Handi Food Mart in north Houston. Tate, a 6-foot 3-inch construction worker who had been drinking outside, pursued a robber who ran off with two cases of beer and held him at gunpoint before he was shot twice in the chest. Fuentes, the only person old enough to be charged with capital murder, was arrested and sentenced to death more than two years after the shooting. The appeal questions the accuracy of testimony from a witness who identified Fuentes as the triggerman. Julio Flores, who was outside the store with Tate and other co-workers, testified he had not been drinking before the shooting. But HPD reports show that Flores and one of his co-workers both told officers he had been drinking that night. Wilson notes that the HPD offense reports were in the prosecutors' file and available to the defense before Fuentes' trial. Marcus maintains that officers had other conversations with Flores, including on the night of the shooting, that Fuentes' trial attorneys did not know about. The appeal also argues that the testimony of the prosecution's two key witnesses, Flores and a classmate of Fuentes who was inside the store, changed and contained inconsistencies. But "any time when different people are involved, one person might not see everything, and you are going to come up with inconsistencies," Wilson said. "That is the purpose of cross-examination, and that is what a jury is for." Anthony Guy Fuentes offered no real explanation from the visiting block on death row last week as to why he was convicted and sentenced to death for the shooting death of 28-year-old Robert Tate in 1994. Barring any last-minute rulings, Fuentes will be put to death tonight at the Huntsville "Walls" Unit. By his accounts, his childhood was good. Although his mother was a part of his life, his grandparents raised him and sent him to a private high school. He has several siblings, and they all grew up in different households, but they are all close, and Fuentes said his ultimate fate will impact them more than he wants to think about. "I'm the oldest," Fuentes said from the visiting area inside the Polunsky Unit outside of Livingston. "I'm more concerned right now with what my family is going through. I've said I was not guilty since the beginning, and they all have stood behind me. I'm not too sure how everything will go (this week), but if they let everyone come visit me, they'd all be here." Fuentes, 30, was convicted in a Harris County court in 1996 for the capital murder of Tate during a Houston convenience store robbery. High school acquaintances and co-defendants, Steven Vela and Kevin Templeton, were convicted of aggravated robbery. A third co-conspirator, Terrell Lincoln, was also implicated in the robbery. According to the Texas Attorney General's office, Fuentes and the other three men robbed the Handi Food Mart in north Houston on Feb. 18, 1994. Fuentes and one of his companions brandished pistols. Tate, the victim, who had been drinking beer with friends in the parking lot of the store, chased one of the bandits when he left the store with two cases of beer. Tate grabbed the man, and the robber dropped the beer. Just then, Fuentes came running out of the store and shot Tate twice in the chest. Tate died in a ditch across the street from the store. A witness at the trial identified Fuentes as Tate's murderer. Bullets recovered from Tate's body were consistent with those used in a 9 mm weapon, which are most commonly semi-automatic. Testimony at the trial indicated that Fuentes used a semi-automatic gun during the robbery. When asked in an interview last week, Fuentes would not admit he was even at the scene, and all he would say about his guilt or innocence was, "I never killed anybody." Fuentes ended up on death row seven years ago, and since that time, has said he has been out of the loop with lawyers and proceedings to stop his execution. "I met with my original lawyer twice the whole time I've been in here," he said. "That was the hardest part, never knowing what was going on." Attorney Morris Moon with the Texas Defender Service took over the case in the last few months, but Fuentes said he has no idea what they will be able to do for him. Calls to Moon by the Item were not returned. Fuentes' attorneys filed an appeal late Monday with the Texas Court of Criminal Appeals, claiming prosecutors knowingly allowed false testimony against Fuentes and suppressed evidence. "The state's case was riddled with inconsistencies," Fuentes' attorneys wrote. "The evidence connecting him to the shooting was so tenuous." Harris County prosecutor Vic Wisner described Fuentes as extremely violent and said there were no inconsistencies or suppressed evidence. He said the men who robbed the store with Fuentes pointed to him as the gunman. "All the issues he is raising now were already raised before the jury and were rejected," Wisner said Tuesday. Appeals as high as the U.S. Supreme Court have already been denied. Fuentes said although things look dim, he hasn't given up hope that a miracle will happen before his scheduled execution tonight. "My time has been pretty easy here," Fuentes said. "I don't complain about the conditions. I write letters to my family and listen to the radio. I don't read books. I'm just concentrating on my family and preparing them for every possibility. I'm hoping for a stay, and I haven't given up." He would be the 23rd Texas prisoner to receive lethal injection this year and the first of two on consecutive evenings this week. Although the capital murder trial was his first time in a courtroom, Fuentes had prior run-ins with the law. In Jan. 1992, Fuentes, armed with a shotgun, shot a man in the leg. He pleaded guilty to a misdemeanor charge and served a year in the Harris County Jail for the shooting. In March 1994, Fuentes shot a man in the back while the victim was sitting in a car, and was placed on probation after pleading guilty to an attempted murder charge for the shooting. Convicted killer Anthony Fuentes was executed Wednesday night for fatally shooting a man who tried to nab the robber of a Houston convenience store 10 years ago. Fuentes, 30, denied he was responsible for killing Robert Tate, 28, who became known as a slain good Samaritan, although Fuentes acknowledged he was with three companions when they were holding up the store. "The state's case was riddled with inconsistencies," Fuentes' attorneys argued. "The evidence connecting him to the shooting was so tenuous." Vic Wisner, an assistant district attorney in Harris County who prosecuted the case, denied the claims. He said the men who robbed the store with Fuentes pointed to him as the gunman. It took two years before authorities could piece together the case and arrest Fuentes and his three companions. His accomplices received prison terms for aggravated robbery. Fuentes got a death sentence. "What Texas doesn't realise is that I am not afraid to die and they can never break me," Fuentes wrote on an Internet site devoted to his case. HUNTSVILLE, Texas (Reuters) - A prisoner convicted of killing a man during a 1994 robbery was put to death on Wednesday in the first of two scheduled executions this week in Texas. Anthony Fuentes, 30, was the 21st person executed this year in Texas and the 334th since 1982 in the nation's leading death penalty state. Fuentes was condemned for the murder of Robert Tate on Feb. 18, 1994 in Houston. Tate was shot twice in the chest while trying to stop Fuentes and three accomplices fleeing from a convenience store they had just robbed. Fuentes admitted taking part in the robbery, but denied being the triggerman. In a final statement while strapped to a gurney in the Texas death chamber, Fuentes said some day "the truth will be known" about the crime. "It is wrong for the prosecutors to lie and make witnesses say what they need them to say," he said. "I just hope everybody has their peace. Today I get mine." Two of his accomplices, Steve Vela and Kelvin Templeton, were convicted of aggravated robbery and sentenced to prison terms of 16 years and 15 years, respectively. For his final meal, Fuentes requested fried chicken with biscuits and jalapeno peppers, steak and french fries, fajita tacos, pizza, a hamburger, water and Coca-Cola. A construction worker whose 6-foot-3-inch frame earned him the nickname "Horse," Robert Preston Tate boasted that he could intimidate any would-be robber who threatened his north Houston neighborhood hangout. His protective instinct emerged on the night of Feb. 18, 1994, when armed robbers burst into the Handi Food Mart, a family-owned store set between houses in a residential area. The men grabbed two cases of beer and money and fled. Tate, who was outside, drew his unloaded gun and pursued. The 28-year-old was shot twice in the chest and died as he lay in a ditch. More than two years would pass before his arrest, but Anthony Guy Fuentes, a one-time private school student who spent summers with his grandmother in Germany, was convicted in Tate's murder and sentenced to death. He is scheduled to be executed Wednesday and would be the 23rd man in Texas to receive a lethal injection this year. Two other inmates from Harris County were executed last week, and six from around the state are scheduled to die through March. With his execution days away, Fuentes, 30, will not talk about the shooting. He says only what he has maintained since his arrest: that he was one of three men who robbed the store, but he did not kill Tate. "I can't be sorry for something I didn't do," he said in a recent interview from death row in Livingston. During his 1996 trial, an accomplice and a bystander testified Fuentes was the triggerman. But Donald Cantrell, a lawyer who represented Fuentes at trial, said their identification has always troubled him. He said he has doubts about the testimony from Fuentes' accomplice, who pleaded guilty and was sentenced to 15 years, and questioned the witness's accuracy. "It was night," Cantrell said. "He had been drinking. He saw this person for a maximum of 30 seconds, and he was some distance away. There is no question that Anthony was there, but I have always had questions as to whether he was the shooter." Fuentes' family has more concerns. They note that his photo was significantly larger than others in a spread of suspects and that he was one only one of the robbers old enough to be eligible for the death penalty. They question whether Tate truly was the good Samaritan that prosecutors billed him as, saying that no one was in danger when he chased the robbers. Prosecutors maintain the witness testimony is solid and point to Fuentes' history, which includes two nonfatal shootings that were introduced in the punishment phase of his trial. "Both accomplices say he was the shooter, and one was closest to Fuentes at the time," said Assistant District Attorney Vic Wisner. Fuentes has no appeals pending, although lawyers are contemplating an 11th-hour effort. Tate watched the Gaw family build the Handi Mart in the 1980s. He befriended the Gaw children, particularly the boys Daniel and Ben, who taught him Chinese phrases so he could speak to their grandmother. Tate was outside the store drinking a payday beer with several co-workers on the night he was killed. "It was pretty shocking," said Daniel Gaw. "He always came around to get whatever, and then he was dead." Ricky Spies, a childhood friend who still lives one block from the store, fondly recalled Tate's personality. "He would help anybody, and that's what ended up killing him," Spies said. "He was trying to help somebody and he paid the ultimate price. If (Fuentes) was the one who killed him, then he deserves to die." When Fuentes was arrested, his life " was just starting to come together," said his stepmother Janis Fuentes. Fuentes had fallen in with troublemakers after he failed an algebra class and was kicked off the Sam Houston High School varsity football team — before he could take the field for a game. He failed out of school, and though his grandparents enrolled him in private school, he landed in the Harris County Jail after pleading guilty to a 1994 assault. When he was released, his family said, Fuentes had changed. He worked as a limousine driver and was making plans to get married when a lead on Tate's murder brought police to Fuentes. When he received his execution date in June, there were a dozen men set to die before Fuentes. Last week, as prison officials took the last of those men, Frederick Patrick McWilliams, to the death chamber in Huntsville, Fuentes had few thoughts about his own execution. "I am not concerned for myself, but I hate hurting my family," he said. "Because whatever they do to you is not just done to you. There are other people who suffer." Not a week passes without a family member visiting, most often his grandfather, Guy Landrum, who raised Fuentes. They, too, spoke little last week of hisexecution date. "It is time for him to come home," said Janis Fuentes. "It is not time for him to die." An introduction letter. Well my name is Anthony Fuentes. I am 24 years old and my birthday is November 5. I'm a Scorpio. I am on death row in Huntsville, Texas. I have been locked up since March of 1996. I like to write alot to keep my mind from this place and situation. I can't talk about my case but I have a very good chance to prove my innocence of this crime. Well things I like are sports, languages, music, exercise and competive things I have an open mind and like to learn new things . I consider myself mature for my age because I was raised by my grandparents. I consider friendship very important and I know that friendships can be made through letters. My family is very close to me. I was not married and I have no children of my own. The reason for that is because I believe a family should be together. And I just never found the right woman to marry. I treat my friends kids like they are mine. I'm the uncle that all the mom's and dad's hated. I spoil the kids ! Well I guess I will quit here. Hoping to hear from somebody ! Sincerely . . .
Anthony Fuentes was 20 years old when he got arrested and 22 years old when he was condemned to death. On this homepage, you'll be giving an impression of the human being standing behind the No. : 999215 on Polunsky Unit, Texas, Death Row. You will learn about the crime, the trial and the evidence Anthony is able to bring up to prove his innocence. Please take some time to view the following sites. Thank you, also in the name of Anthony and his loved ones, the web-site master. There are many things wrong with society today: practically no respect for anything; a material (man-made) world; and, worst of all, hate. Now I know that some will say since I am on Death Row, Texas, that I am just speaking lies to save myself, or even worse, trying to make people think that I am a human being. People are led to believe that I am an animal, a threat to society, and that I should be killes for a better future. I sat here for many years trying to understand this. I have seen the Texas Justice System's true power. I do not believe I will get justice because the system is a very strong, influential and profitable business these days. Nobody, especially the man on the top, George Bush, will do anything but the abuse of the system. His concern is not for the future, but for his presence and power. They say all of us are guilty without a doubt here. I know this might be a common thing to say, but I am innocent of this charge. Yeah! Yeah! I can imagine everybody saying: Yeah, right! If anyone looks into my case they will see I am innocent. But my word in here means nothing. The truth is here, right in front of us, but legal words and closed doors, threats and lies from specially schooled and trained prosecutors (who know the law better than any of us) perpetuate the abuse of the system with no excuse other than that Texas wants to kill me for image and profit. What Texas doesn't realise is that I am not afraid to die and they can never break me. I have faced death so many times in this world. Look at the world news. Death is everywhere in evrey form: sickness; accidents; natural causes; crime. Texas says an eye for an eye for crimes is justice. Yet when someone is wrongly killed by the justice systems employees, they are never wrong; it was "an accident". There have been hate groups from the beginning of time.Most have a pain inside that they want everyone else to feel. I understand this pain that they have. I have had similar pain inside from the deaths of my friend Mario and my grandmother. But I didn't want anyone else to feel it, but why: they have nothing to do with it. For me, to make others feel that pain would be wrong, plain and simple. But Texas Justice says that they can make money out of this pain. I notice that for every wrong in society the ones with influence and power blame something for it. A 3-year old finds Daddy's gun and accidentally pulls the trigger killing himself. Who is to blame? The father? No 3-year old could know the true effect of that and no right-minded person would allow a child to play with a gun. Yet after all the politics and laws it comes down to this: no gun, no death by gun. Now you have groups who say it is our right to bear arms (might I add they are very influential voters, too). They say they have to protect themselves, their family and their property. I understand this, but do they have to use guns? I read of a new technology using "guns" that will not kill anyone but just make a person harmless. In my trial prosecutor Vic Wiener said "Why couldn't I have shot the victim in the leg or arm? To shoot in the chest is intentionally kill someone or try to". Home owners, businessmen, Law Officers rarely shoot someone in the leg or the arm, although homeowners and businessmen normally stop after one or two shoots compared to the 10 - 14 shots a Law Officer seems to accidentally fire. Now don't get me wrong: not all people in the system are like this, but hey do exist and they show that things need to change. I know first-hand that life doesn't have to be like that. I travelled to Europe at a young age. Even then I was amazed at the lack of violence. The only violence I remember was a football fans rioting. The places I went to were like a fairly-land compared to Texas. The great-grandmothers knew the youngest members of the town. And if someone passed away everyone was at the funeral. Here you are lucky if your own neighbours show up. Kids are bound to have disagreements with other kids. They are learning about life and who they are. Isn't that part of growing up? Texas makes laws all the time about restricting kids and punishing them for bad decisions. To me this is wrong. A kid should be able to be a kid and learn from his/her mistakes. It is funny how a kid "doesn't know better" or "what they are doing"but when a kid makes a bad decision He/she " knew everything without a doubt" according to the Justice System. Look at school these days. My old High School looks like a prison. I must be considered a troubled area because I just read that 87 digital cameras are being installed. But if the people of influence realise it's a troubled area, why don't hey try to help? There are no programms or activities to help. Not every child is book smart or athletic. But they all have potential in life - I mean other than being a money chip for Texas. On February 18, 1994 a Friday evening, Handi Food Mart a convenience store was robbed and in the aftermath and completion of the robbery, Robert Tate, who was in parking lot drinking with friends gave chase and caught Kelvin Templeton who was carrying 2 12 packs of Budweiser Beer. Mr. Tate was armed with a gun and piece of chain with lock on one end when he grabbed Templeton by his shoulder and pointed the gun to his head and told him to drop the beer. Templeton dropped the beer as requested and was let go. Templeton was the first robber in and out of store. Templeton was the only co-conspirator to testify at Fuentes trial of capital murder. Templeton's testimony was, "he did not see shooting of Mr. Tate, but only heard shots and thought that Mr. Tate shot him." Templeton, who was running away, looked back and saw Fuentes with a gun in his hand running behind him. He did not see Steve Vela, so assumed it was Fuentes that shot Mr. Tate. Almost a year and half from the day of the crime the state's key witness, Julio Flores, identified Fuentes in photo line up as shooter; Flores is the only non-accomplice witness to the shooting the state has. Despite many changes in his testimony, the fact he said "he saw Fuentes walk up to Mr. Tate and shoot him twice in the chest", is the state's case. The day of the crime Raymundo Soria who was inside the store during the robbery stated to investigators that he knew one of the robbers from school. Soria identified Fuentes from a photo line up shown to him April 25, 1994. Soria was the only witness to identify anyone in robbery. Yvonne Miller, who was parked right in front of store and accompanied by her brother's girlfriend who knew Fuentes and told Miller his name. Miller gave the name to investigators but has never been able to identify anyone but testified the robber she saw jump the counter was same robber that she saw shoot Mr. Tate. Miller describes hair style of this robber she saw which is the style Vela had his hair not Fuentes. There is no other evidence but Fuentes's name and identification inside the store. None of the accomplices could be identified or named but 2 years later Vela was confronted and confessed and gave everybody's name. In his affidavit which was never able to be cross-examined in trial, he states Fuentes was shooter. Admits he was the robber who jumped the counter. The state excepted this confession even though they knew there was 2 guns involved in the robbery and Vela stated he was unarmed. This case is not a "Law Of Parties" case. The state wanted the actual shooter of Mr. Tate and since Fuentes has been main suspect since February 18, 1994 the case was made against him for capital murder. Steve Vela's side of this has never been brought out by state or court appointed attorneys. Even though the scenario the state provided would clearly make Vela another witness to the shooting. The state did not want Vela to testify cause there was witnesses testifying that shooter was robber who jumped the counter. Yvonne Miller who drove up to front of store and saw robbery begin and she drove to the corner of the street which placed her closer to the shooting than any other witnesses. James Draffin who took a step inside the store before seeing robbery in progress. Saw robber's gun who jumped the counter and he received weapons training from the U.S. Army testified that gun was a semi-automatic pistol. Both Miller and Draffin were not drinking and showed up before robbery began. Both knew Mr. Tate and both testified Fuentes was not the shooter. Rodney Faulkner also testified that he saw Mr. Tate get shot and that the shooter was not near Mr. Tate when shots were heard. Raymundo Soria stated the day of the crime Fuentes carried an "old" gun. At trial over 2 years later he changed to an automatic gun. Fuentes took the stand at trial and told his side of what happened the night of the crime. Which was 1st time. He spoke of crime other than with his court appointed attorneys. The courts have justified Fuentes conviction of capital murder mainly cause of Julio Flores' testimony combined with Templeton' s testimony. Fuentes who still has court appointed attorney Michael Charlton who does not discuss his case properly with him or what he files. Does not file anything Fuentes asks to be filed in his writs or do any investigation of his own. Fuentes is awaiting a ruling from the Federal Courts on an evidentiary hearing and his writ at this time. Fuentes has maintained he did not shoot Mr. Tate. The state's theory that Fuentes is shooter is this. Fuentes is not the robber who jumped counter but confronted Raymundo Soria and Ming Fong Chow. Raymundo identifies Fuentes at robbery and at trial changes from "old" gun to automatic gun. Ming Fong Chow also changes at trial to automatic gun which he did not describe at all before. Autopsy reports show Mr. Tate was shot with 2 9-millimeter slugs in the chest. 9-millimeter slugs are most commonly from automatic guns. Autopsy reports also show that the wounds were downward. Mr. Tate is 6' 2", Fuentes is '5' 9". The state argued that for Fuentes to be shooter Mr. Tate was bent over holding Templeton to do this they used Julio Flores testimony that Mr. Tate tackled Templeton. Templeton testified that Mr. Tate placed a hand on his shoulder and pointed gun to his head and told him to drop the beer. No wrestling, tackle, or struggle at all occurred. No other witness stated otherwise. The state also argued that Vela was nowhere around at all when Mr. Tate was shot. The state also argues that the shooter was the 2nd robber out of the store. And Vela's location has never been clarified even though this has always been Fuentes or Vela shot Mr. Tate. Fuentes is fighting to show the truth of his case that he was not the triggerman who shot Mr. Tate, trying to get more investigation done, and a lawyer who will argue the facts of this case. JANIE COCKRELL, Director, Texas Department of Criminal Justice, Institutional Division, Respondent. The Court of Criminal Appeals succinctly summarized the evidence proving Fuentes' guilt in its published opinion: ...[O]n Friday, February 18, 1994, [Fuentes], Kelvin Templeton, Terrell Lincoln, and Steve Vela conspired to rob the Handi Food Mart and any employees or customers who happened to be in the store. The Handi Mart was busy with employees of the Swartz Electric Company who had just been paid, cashed their paychecks at the store, and were enjoying a few beers and the company of coworkers outside the premises of the store. Among those gathered was Robert Tate, a regular customer and acquaintance of the proprietors of the Handi Mart and sometime employee of Swartz Electric. [Fuentes] and his cohorts arrived at the store, noted that it was busy and proceeded with their plan. Templeton went directly to the coolers, grabbed two cases of beer and walked out. [Fuentes] and Vela walked into the store behind Templeton and pulled out their guns. Vela went to the cashier and demanded money. [Fuentes] approached the proprietor and a customer who were standing near the counter. The customer, Raymundo Soria, was a high school classmate of [Fuentes']. He followed [Fuentes'] orders, hiding his identity in fear that [Fuentes] would recognize him. James Draffin was walking into the store when he noticed that it was being robbed. He ran to inform his co-workers of the robbery. Ignoring his friends' warnings not to get involved, Tate gave chase when Templeton left the store with the beer. Tate caught up to Templeton and grabbed him. Templeton dropped the beer. Just then, [Fuentes] came running out of the store. Julio Flores testified that [Fuentes] came out of the store, ran up to Tate and Templeton, and shot Tate twice in the chest. Testimony at trial indicated that [Fuentes] used a semi-automatic gun. Tate fell into a nearby ditch and died. The bullets recovered from Tate's body were consistent with those used in a 9 millimeter weapon, which are most commonly semi-automatic. Flores further testified that, despite standing five hundred meters from [Fuentes], he got a good look at his face and positively identified [Fuentes] as Tate's murderer. Flores' description of the appellant was consistent with the description given by the proprietor as the man who robbed him in the store. Flores and Soria positively identified [Fuentes] in photo lineups. Templeton was the only co-conspirator to testify. He testified that he was not watching when he heard the shots fired; he thought Tate had shot at him, so he just began running. Templeton testified that although he did not see it, he was under the impression that [Fuentes] had shot Tate because when he looked back, [Fuentes] had a gun in his hand and was the one closest to him, and he had not seen Vela near the victim. Fuentes v. State, 991 S.W.2d at 270-71. During the punishment phase of Fuentes' trial the State offered evidence of Fuentes' prior extraneous offenses to prove that he constituted a future danger to society and that the instant offense warranted the death penalty. This evidence included testimony from Miranda Moreno and Julian Gutierrez regarding an incident where Fuentes shot them both with a shotgun. On January 29, 1992, Moreno and Gutierrez, along with several of their friends, were out playing pool when Fuentes and Tony Resendez came into the pool hall. Resendez began to argue with Moreno's cousin, Genesis, so Moreno decided they should leave the pool hall to avoid causing further trouble. Moreno and her friends left and went to a relative's house where they stayed for a few minutes and then got back into the car to leave. However, before they could leave, Resendez approached Julian, who was sitting in the driver's seat, and stabbed him in the neck through the open window. Julian and his brother John jumped out of the car to pursue Resendez. Shortly thereafter, Moreno heard a gunshot and turned to see Fuentes standing near the front of the car with a shotgun. John, whom Fuentes had shot in the leg, got back into the car, as did Julian after pleading with Fuentes not to shoot him. While Julian attempted to drive away, Fuentes shot out the back window of the car, hitting Moreno in the left side of her face and Julian in the shoulder. Moreno was hospitalized for a week, forced to undergo eye surgery, and ultimately lost sight in her left eye. She continues to experience pain from the wound that left shotgun pellets, which doctors were unable to remove, in her face. Julian was also hospitalized after suffering the gunshot wound to his shoulder and the stab wound to his neck. Details of another violent offense committed by Fuentes were described by Jose ViraMontez in his testimony regarding a March 5, 1994, drive-by shooting. On the night in question, ViraMontez, his two brothers, his nephew, and his brother-in-law were in ViraMontez' car returning from Walgreens. ViraMontez testified that upon leaving Walgreens, he and his companions noticed they were being followed by a white Chevy Blazer. Finally, after stopping at a red light, the Blazer pulled up behind ViraMontez' Cutlas Ciera. When the light turned green, the Blazer approached the side of ViraMontez' car and Fuentes, who was sitting in the passenger seat, began shooting at them. He fired five shots, the last one hitting ViraMontez in the back. As a result of that wound, part of ViraMontez' lung was removed and he was unable to work for several months. 26 SR 119-121. Finally, the State also elicited testimony regarding Fuentes' prior arrests for auto theft in October 1992, and for illegal possession of a weapon in February 1992. 26 SR 36-73; 81-82. The defense presented numerous witnesses who testified to Fuentes' general good character and benevolent nature. Several witnesses offered their opinion that Fuentes' had redeeming social values and, therefore, should receive a life sentence instead of the death penalty. The defense also introduced testimony from several witnesses who testified to Fuentes' talent and achievements. Included among the family members testifying on his behalf were Fuentes' mother - Tammy Reeves, his half-sister - Amy Marie Fuentes, his aunt - Pamula Gonzalez, his cousin - Christian Vargas, his fiancee - Natalie Robles, and his grandfather - Guy Landrum. Through their testimony the jury heard that Fuentes was a loving brother and cousin, that he was well behaved, good mannered, and didn't start trouble. Fuentes' fiancee testified that he had provided for her and helped her through surgery, and that he wanted a child. Finally, his mother and grandfather provided the jury with background from his childhood and a list of activities that he participated in during school. This included evidence that Fuentes went to live with his grandparents when he was five years old, and that while growing up he played football, ran track, took karate lessons, played the trumpet and tuba in band, was a good student who could read and write German, and was gifted in math, music, and electronics. His grandfather also testified that Fuentes was deeply and traumatically affected by the sudden death of his grandmother. Two former teachers from Hamilton Middle School, Helen Filenko and Martha Pauler, told the jury that Fuentes was a good student, respectful, well behaved, and was accepted in the Vanguard Program, an accel- erated program for gifted students. Marjorie Kirkland, the director of the private school where Fuentes attended his junior and senior years of high school, stated that she remembered him as respectful, polite, with many redeeming qualities, and no behavioral problems. In addition, numerous friends including Doris Medina, Benny DeMarco, Ernie Hill, Romero Aguilar, Barbara Van Curen, and Sieglinde Reub offered testimony on Fuentes' behalf regarding his general good character and other redeeming qualities. 27 SR 57-62, 101,-04, 127-35, 141-47, 138-40, 171-78, 191-95. 2. Fuentes was denied his Fifth Amendment right to remain silent and his Fourteenth Amendment right to due process when the State commented upon his failure to testify during its closing arguments at the punishment phase of his trial. (Section III, Amended Petition at 3-4). 3. Fuentes was denied his right due process and equal protection in violation of his constitutional rights under the Fourteenth Amendment when the trial court misinformed the jury that gender could be considered mitigating evidence. (Section IV, Amended Petition at 4-5). 9. Fuentes was denied due process in violation of his constitutional rights under the Fifth and Fourteenth Amendments when the trial court failed to properly instruct the jury on the definition of reasonable doubt (Section IV, Skeletal Petition at 8-10). However, all nine requests for relief must fail. Initially, the Director denies all allegations of fact made by Fuentes, except those supported by the record and those specifically admitted herein. In addition, portions of Fuentes fourth claim - alleging that counsel was ineffective for failing to elicit certain information from the medical examiner and State witness Julio Flores - has not been presented to the Court of Criminal Appeals for review, either on direct appeal or in a state writ application. These claims are, therefore, unexhausted and procedurally defaulted. Further, Fuentes' first and ninth claims - that the trial court erred in failing to issue a lesser included offense instruction, and in erroneously instructed the jury on the definition of reasonable doubt - were rejected by the state court on independent and adequate state procedural grounds. Thus, these claims are also procedurally barred from federal habeas relief. The remainder of Fuentes' claims are without merit and should be denied. Fuentes was properly convicted and sentenced to death for murdering Robert Tate while in the course of committing robbery. Tr 12, 187, 208-210. The Court of Criminal Appeals affirmed Fuentes' conviction and sentence in a published opinion on April 28, 1999. Fuentes v. State, 991 S.W.2d 267 (Tex.Crim.App. 1999). Fuentes' petition for writ of certiorari was denied by the United States Supreme Court on November 29, 1999. Fuentes v. Texas, 528 U.S. 1026, 120 S.Ct. 541 (1999). Fuentes filed a state application for writ of habeas corpus on October 26, 1998, while his direct appeal was still pending. SHTr 2-80. The trial court entered findings of fact and conclusions of law recommending that relief be denied. SHTr 189-231. Ultimately, those findings and conclusions were adopted by the Court of Criminal Appeals when it denied relief on September 13, 2000. Ex Parte Fuentes, Slip Op. No. 45, 719-01 (Tex.Crim.App. September 13, 2000). Following the Texas court's denial of relief on his state habeas application, Fuentes filed a skeletal petition for writ of habeas corpus in this Court on September 12, 2001, and then later filed an amended petition on November 14, 2001, asserting the instant claims for federal habeas relief. - got into Lincoln's truck about ½ mile away- after they all got in they went to Vela's house to split money. - gave a statement because he wanted to come clean. 62 RECROSS - was running, not looking around - Vela was behind him - they have same height, build, etc. 115 Lincoln was to drive, Templeton was to get beer and Vela was to get money. He was to watch the door. - opened door for Vela to run out and followed him out. 128 When he ran out, Templeton was at stop sign with V.
134 Didn't look back, don't know how far behind him Vela was. 160 he didn't see V get shot. 161 when they got to the car, nobody talked about it. 181 Templeton slammed the beer down like he was mad. Here D questioned on guns again. - told his lawyers from first visit. He told Detective he was not the shooter. Defendant was convicted in the District Court, Harris County, Bob Burdette, J., of capital murder, and he was sentenced to death. On direct appeal, the Court of Criminal Appeals, Meyers, J., held that: (1) evidence was sufficient to support conviction; (2) defendant was not entitled to lesser-included offense charge on felony murder; (3) state did not engage in prejudicial argument; (4) anti-sympathy instruction did not comment on mitigating evidence; (5) seated juror was properly excused after learning that his son was arrested for violating conditions of his deferred adjudication; (6) state did not exercise peremptory challenges in discriminatory manner; and (7) improper soliciting of evidence of victim's character did not require admission of unlawful conduct offered in rebuttal. Affirmed. Keller, J., concurred in part, and otherwise joined majority opinion. McCormick, P.J., concurred. MEYERS, J., delivered the opinion of the Court, in which MANSFIELD, HOLLAND, WOMACK, JOHNSON, and KEASLER, J.J., joined. Appellant was convicted in November 1996, of a capital murder committed on February 18, 1994. Tex. Penal Code § 19.03. The jury's verdicts required the trial court to sentence appellant to death. Tex. Code Crim. Proc. art. 37.071 § 2. Appeal from the sentence of death is automatic to this Court. Id; Tex. Const. Art. I, § 5. Appellant raises seventeen points of error. In his first point of error, appellant challenges the legal sufficiency of the evidence to establish beyond a reasonable doubt that he is the person who shot and killed the victim. Appellant also argues the evidence is insufficient to corroborate the accomplice witness testimony. Reviewed in the light most favorable to the verdict, Jackson v. Virginia, 443 U.S. 307, 319, 99 S.Ct. 2781, 61 L.Ed.2d 560 (1979), the evidence establishes that on Friday, February 18, 1994, appellant, Kelvin Templeton, Terrell Lincoln, and Steve Vela conspired to rob the Handi Food Mart and any employees or customers who happened to be in the store. The Handi Mart was busy with employees of the Swartz Electric Company who had just been paid, cashed their paychecks at the store and were enjoying a few beers and the company of coworkers outside the premises of the store. Among those gathered was Robert Tate, a regular customer and acquaintance of the proprietors of the Handi Mart and sometime employee of Swartz Electric. Appellant and his cohorts arrived at the store, noted that it was busy and proceeded with their plan. Templeton went directly to the coolers, grabbed two cases of beer and walked out. Appellant and Vela walked into the store behind Templeton and pulled out their guns. Vela went to the cashier and demanded money. Appellant approached the proprietor and a customer who were standing near the counter. The customer, Raymundo Soria, was a high school classmate of appellant's. He followed appellant's orders, hiding his identity in fear that appellant would recognize him. James Draffin was walking into the store when he noticed that it was being robbed. He ran to inform his co-workers of the robbery. Ignoring his friends' warnings not to get involved, Tate gave chase when Templeton left the store with the beer. Tate caught up to Templeton and grabbed him. Templeton dropped the beer. Just then, appellant came running out of the store. Julio Flores testified that appellant came out of the store, ran up to Tate and Templeton, and shot Tate twice in the chest. Testimony at trial indicated that appellant used a semi-automatic gun. Tate fell into a nearby ditch and died. The bullets recovered from Tate's body were consistent with those used in a 9 millimeter weapon, which are most commonly semiautomatic. Flores further testified that, despite standing five hundred meters from appellant, he got a good look at his face and positively identified appellant as Tate's murderer. Flores' description of appellant was consistent with the description given by the proprietor as the man who robbed him in the store. Flores and Soria positively identified appellant in photo lineups. Templeton was the only co-conspirator to testify. He testified that he was not watching when he heard the shots fired; he thought Tate had shot at him, so he just began running. Templeton testified that although he did not see it, he was under the impression that appellant had shot Tate because when he looked back, appellant had a gun in his hand and was the one closest to him, and he had not seen Vela near the victim. In arguing the evidence was legally insufficient to prove beyond a reasonable doubt that appellant was the person who shot the victim, appellant relies in large part on the testimony of an expert witness regarding the inaccuracy of eye-witness testimony and Flores' identification of appellant in particular. For example, appellant points out that the entire robbery took place very quickly, visibility was poor at that time of the evening, the witnesses were some distance from the shooting, there were a number of distractions and obstructions, and some of the matters Flores testified to were not supported in the record. The victim was killed with a gun capable of firing a nine millimeter bullet, but testimony was inconsistent concerning the types of guns carried by appellant and Vela in the robbery. Appellant's arguments amount to attacks on the credibility of the State's evidence. The jury, as the trier of fact, is the sole judge of the credibility of the witnesses and of the strength of the evidence. Bonham v. State, 680 S.W.2d 815, 819 (Tex.Crim.App.1984). When faced with conflicting evidence, this Court "presume[s] the trier of fact resolved any such conflict in favor of the prosecution." Turro v. State, 867 S.W.2d 43, 47 (Tex.Crim.App.1993). A reasonable juror could, on the evidence provided, find beyond a reasonable doubt that appellant was the person who shot and killed Tate. Appellant also complains the non-accomplice evidence (that is, discounting Templeton's testimony) does not "tend to connect" him with the offense. He contends Flores' testimony was unreliable for many of the reasons cited above and argues the non-accomplice evidence was more incriminating of Vela than of appellant. Appellant also argues that while there is evidence connecting him to the robbery, there is no non-accomplice evidence connecting him to the killing. Flores was not an accomplice. He testified that he saw appellant run up to the victim and shoot him. This testimony is sufficient to "tend to connect" appellant with the commission of the offense. Appellant's first point of error is overruled. In his second point of error, appellant challenges the factual sufficiency of the evidence to establish that he committed capital murder. Clewis v. State, 922 S.W.2d 126, 131-32 (Tex.Crim.App.1996). A factual sufficiency review takes into consideration all of the evidence and weighs the evidence which tends to prove the existence of the fact in dispute against the contradictory evidence. Clewis, 922 S.W.2d at 129, 134; see, e.g., Ellis County State Bank v. Keever, 915 S.W.2d 478, 479 (Tex.1995). But, to avoid intruding on the jury's role as arbiter of the weight and credibility of the evidence, a factual sufficiency review remains deferential to the jury's verdict. Clewis, 922 S.W.2d at 133. That a different verdict would be more reasonable is, therefore, insufficient to justify reversal; the jury's verdict will be upheld, unless it is so "against the great weight of the evidence " that it is "clearly wrong and unjust," i.e., manifestly unjust, shocking to the conscience or clearly biased. Id. at 135. Appellant cites sufficient conflicting evidence to support an argument that another reasonable jury, weighing the evidence and assessing the credibility of the witnesses, could have reached a different verdict from the one reached by appellant's jury. But having reviewed the record, we cannot agree with appellant that the verdict reached was so "against the great weight of the evidence that it is clearly wrong and unjust, i.e., manifestly unjust, shocking to the conscience or clearly biased." Appellant's second point of error is overruled. Background: After state prisoner's murder conviction and death sentence were affirmed on direct appeal, 991 S.W.2d 267, prisoner filed petition for writ of habeas corpus. The United States District Court for the Southern District of Texas denied petition. (3) refusal by Texas Court of Criminal Appeals to review sufficiency of evidence to support jury's negative answer to the mitigation special issue at the punishment phase did not warrant habeas relief. Application denied. Anthony Guy Fuentes requests a certificate of appealability ("COA") from our court, so that he can challenge the denial of federal habeas relief for his Texas state court capital conviction and death sentence. Accordingly, for each claim covered by a COA request, we must determine whether that request makes the requisite "substantial showing of the denial of a constitutional right", 28 U.S.C. § 2253(c)(2), necessary to be permitted to appeal the denial of that claim in his 28 U.S.C. § 2254 habeas petition. DENIED. [O]n Friday, February 18, 1994, [Fuentes], Kelvin Templeton, Terrell Lincoln, and Steve Vela conspired to rob *870 the Handi Food Mart and any employees or customers who happened to be in the store. The Handi Mart was busy with employees of the Swartz Electric Company who had just been paid, cashed their paychecks at the store and were enjoying a few beers and the company of coworkers outside the premises of the store. Among those gathered was Robert Tate, a regular customer and acquaintance of the proprietors of the Handi Mart and sometime employee of Swartz Electric. [Fuentes] and his cohorts arrived at the store, noted that it was busy and proceeded with their plan. Templeton went directly to the coolers, grabbed two cases of beer and walked out. [Fuentes] and Vela walked into the store behind Templeton and pulled out their guns. Vela went to the cashier and demanded money. [Fuentes] approached the proprietor and a customer who were standing near the counter. The customer, Raymundo Soria, was a high school classmate of [Fuentes]. He followed [Fuentes'] orders, hiding his identity in fear that [Fuentes] would recognize him. James Draffin was walking into the store when he noticed that it was being robbed. He ran to inform his coworkers of the robbery. Ignoring his friends' warnings not to get involved, Tate gave chase when Templeton left the store with the beer. Tate caught up to Templeton and grabbed him. Templeton dropped the beer. Just then, [Fuentes] came running out of the store. Julio Flores testified that [Fuentes] came out of the store, ran up to Tate and Templeton, and shot Tate twice in the chest. Testimony at trial indicated that [Fuentes] used a semiautomatic gun. Tate fell into a nearby ditch and died. The bullets recovered from Tate's body were consistent with those used in a 9 millimeter weapon, which are most commonly semiautomatic. Flores further testified that, despite standing five hundred meters from [Fuentes], he got a good look at his face and positively identified [Fuentes] as Tate's murderer. Flores' description of [Fuentes] was consistent with the description given by the proprietor as the man who robbed him in the store. Flores and Soria positively identified [Fuentes] in photo lineups. Templeton was the only co-conspirator to testify. He testified that he was not watching when he heard the shots fired; he thought Tate had shot at him, so he just began running. Templeton testified that although he did not see it, he was under the impression that [Fuentes] had shot Tate because when he looked back, [Fuentes] had a gun in his hand and was the one closest to him, and he had not seen Vela near the victim. Fuentes v. State, 991 S.W.2d 267, 270-71 (Tex.Crim.App.1999). Fuentes was found guilty in Texas state court for the capital murder of Robert Tate. The jury then answered Texas' capital murder special issues in a manner that required the trial court to impose the death sentence. The Court of Criminal Appeals affirmed the conviction and sentence. Fuentes, 991 S.W.2d 267. The Supreme Court of the United States denied certiorari. Fuentes v. Texas, 528 U.S. 1026, 120 S.Ct. 541, 145 L.Ed.2d 420 (1999). Fuentes sought habeas relief in state court during the pendency of his appeal. In February 2000, the trial-level state habeas court rendered findings of fact and conclusions of law, recommending that relief be denied. The Court of Criminal Appeals adopted that recommendation and denied relief in September 2000. After Fuentes filed a skeletal petition for habeas relief in the district court to comply with the applicable statute of limitations, he amended his petition. In March 2003, the district court denied relief and a COA. For the foregoing reasons, a COA is DENIED.